As my timeline explodes with the adrenaline from all the weights that are being lifted and push-ups being thrust by the bold and the beautiful, I think back to the time when the first International Yoga Day was marked in 2015. 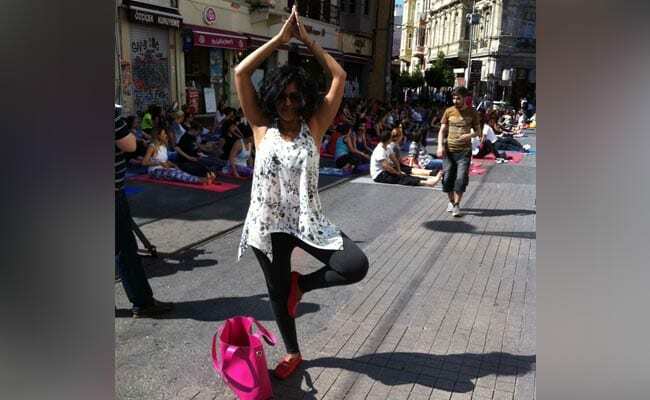 At that time, I'd reported on all the government excitement and build-up; afterwards, I was in Istanbul for a break when I turned the corner in Beyoglu to see the entire high-street full of people doing sun salutations. Now, being a bit of a yogi wannabe myself and carried away by the collective positive energy generated by non-desis doing desi moves, I struck a Vrikshasana or tree pose and posted it on my Facebook page. It was just feel-good and one of the random things you do on holiday, but one friend commented, "When did you become a Modi bhakt?" For some strange reason, I found this quite offensive and unfriended him. I couldn't believe that some random act of mine was construed as support for or critique of a politician. But I recount this episode to make the point that when I say I find the #FitnessChallenge a bit disconcerting, it isn't for the sake of being critical or because I support one political view over another. I'm not saying this just because I am envious of all the beautiful bodies so nicely flaunted through this (even though I am). It's just that the timing of it is strange. It coincides with the fourth anniversary of the NDA government less than a year before general elections. 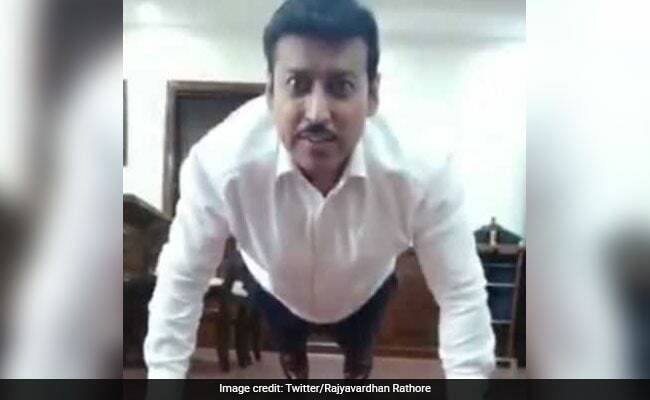 The #FitnessChallenge is posed not just by a former athlete and Sports Minister but by the government's chief spokesperson i.e. Information and Broadcasting Minister Rajyavardhan Rathore. By itself, it looks fun and frothy, but what's the Chief Spokesperson's message, apart from being inspired by the Prime Minister's fitness that inspires him? That the Prime Minister wants us all to be fit? And why is every minister worried about fitness when everyday our headlines scream of someone dying of hunger, malnourishment? A Lancet study last year said that 22% of the girls and 30% of the boys in the country were moderately or severely underweight. Another concern is maternal anaemia where we are lagging behind globally and in fact, the last NFHS of National Family Health Survey reported that 50% of pregnant women were anaemic while 23% of women in general were undernourished. In fact, it may be the malnourishment in early life which leads to obesity in later life in some cases. So why is the entire cabinet trying to make people fit? Why can't they feed our women and children first? Here's my second problem with the entire initiative ,although this one is much more intangible. Doesn't this entire initiative play on the whole "muscular" government image? Why is there so much stress on the body-beautiful? Yes, I look at Virat and I think of how far he's come in his journey as a cricketer and it inspires me; yes, I look at Sindhu and I think of how proud she makes us all feel. But why should I be impressed with the number of push-ups my Home Minister can do? In 24 hours, Mr Rijiju has done push ups in his Raisina Hill office and at the gym. Frankly, I'd rather he work on figuring out why the scale of violence has gone up in the Valley and why the ceasefire isn't working. There are protests in the North-East on his party's ammendments to the Citizenship Bill, but he's busy watching and retweeting what Virat Kohli is doing. Virat's career depends on those planks but the minister's core areas aren't getting exercised by this challenge. I shouldn't be surprised though. In 2015, while describing the strategic operation by India in Myanmar, Mr Rathore tweeted #56inchRocks , a reference to the "legend" of the Prime Minister's physique. More: in worshipping the body, they inadvertently end up body-shaming. 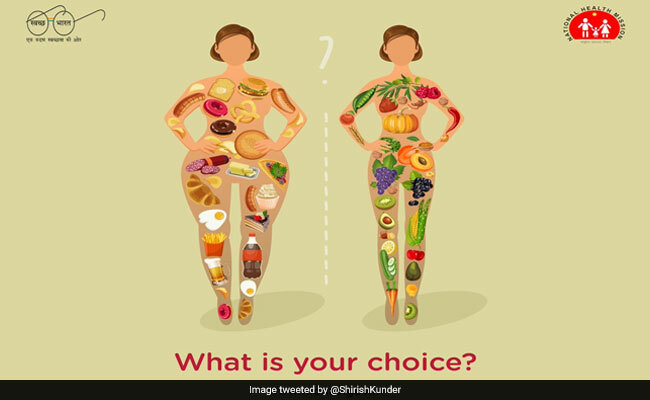 The Health Ministry may have said that their poster about good food options wasn't fat-shaming or propagating vegetarianism, but what were we women to think? That a cool glass of beer to go with the bangers and eggs were what made our hips so big and worth castigating nationally? The most objectionable part of all this chest-thumping is that it excludes others. It excludes those who are across the country reeling from the impact of the fuel price hike. It excludes those who die of poverty, those who are screaming for help needed to cope with unemployment, loans, pollution, the protestors in Tuticorin (there's no dearth of issues). They all write to their MPs, their ministers, their Prime Minister, they demonstrate, sometimes at bullet-point, but they hardly ever get a response. And yet, Virat asks the Prime Minister to post a fitness video and he readily agrees. Sure, that's fun and it goes viral. 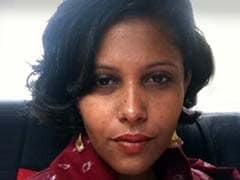 But how cool would it be to challenge all MPs and Ministers to grant a regular person's wish too? It could be the #365lives365days challenge- or something more catchy. They could play Oprah and take cameras to where they help a homeless person get a home, or change the hospital in their constituency. Just anything that's real and not just a social media tool.